Produced by Dave Aude, a new 2019 version of Sting's 1999 single 'Brand New Day' is available to buy and stream now. 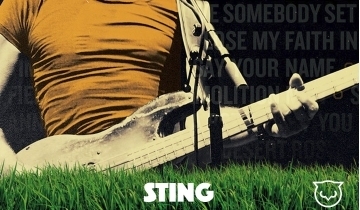 Sting will be performing the song on Steve Harvey's NYE special on Fox tonight. Be sure to tune in and see in the new year in style! 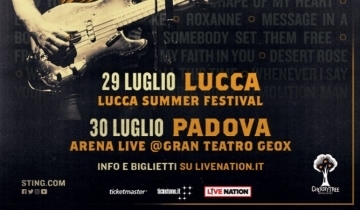 Cherrytree Management with Live Nation have confirmed that Sting: My Songs will tour Europe next summer with very special festival and concert appearances scheduled including shows in Lucca (July 29) and Padova (July 30) in Italy. Additional tour dates to soon be announced. 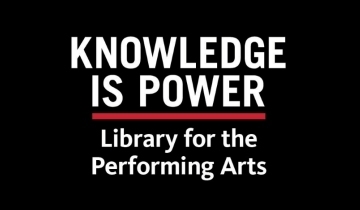 Sting has written a fund raising letter for the New York Public Library for the Performing Arts which they have used as a 'Gurst Blog Post'. "I grew up with an ear open to all sound. I listened to everything I could, from rock and roll records to jazz, from Rodgers and Hammerstein albums to my mother's skillful and stylish piano playing. 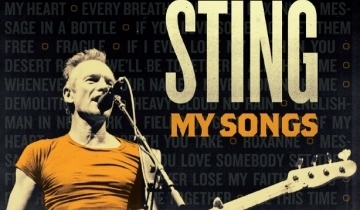 I was - and remain - in love with the magic that music creates simply from marks on a page, from keys and strings..."
Cherrytree Management with Live Nation have confirmed that Sting: My Songs will tour Europe next summer with very special festival and concert appearances scheduled including Arena Stožice in Ljubljana, Slovenia on June 4, 2019. Additional tour dates to soon be announced. The first eighteen names for Bospop 2019 are a fact. Amongst others Sting (July 14), John Fogerty and Snow Patrol are on the podium next year in Weert. This year Bospop does not have two but three festival days with a complete program on both stages. The 39th edition of the festival takes place on Friday 12, Saturday 13 and Sunday, July 14, 2019 at Event Center A2 Weert Noord. 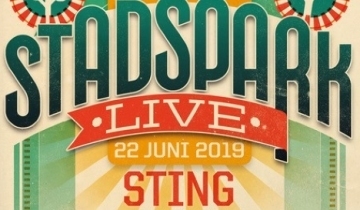 Cherrytree Management with Live Nation have confirmed that Sting: My Songs will tour Europe next summer with very special festival and concert appearances scheduled including Groningen Stadtspark Live at Groningen, Netherlands on June 22, 2019. Additional tour dates to soon be announced. 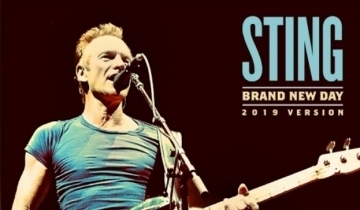 Cherrytree Management with Live Nation and Avalon Production have confirmed that Sting: My Songs will tour Europe next summer with very special festival and concert appearances scheduled including Bratislava on June 30, 2019 at Zimny Stadion Ondreja Nepelu and Budapest on July 2, 2019 at Budapest Arena. Additional tour dates to soon be announced.